This week it finally hit us: the pre Christmas crazies. One moment we were riding the tinsel-bright, sparkly yuletide wave of Joy to the World, eye on the important stuff (decorating the tree and the possibility of our early spuds and peas making it onto the Christmas dinner table), the next we were wiping out, thrashing in a wash cycle of ringing cash registers, endless lists, and Bad Will to All Men. 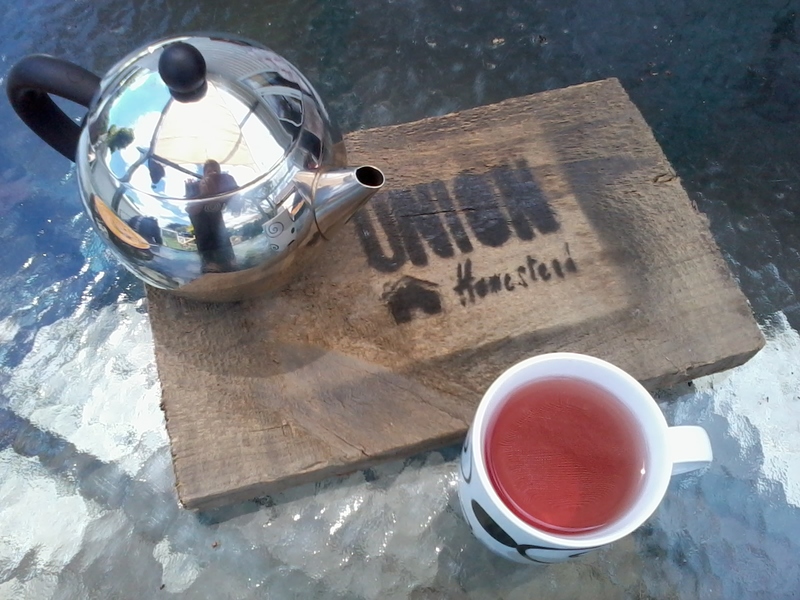 From the customary post housework (mandatory involvement for anyone on the Homestead on a Monday morning) herbal tea on the deck (rosemary this week) everything looked so Peace on Earth. Sure, there were a couple of social engagements, okay we needed to make a few shopping forays, but all were happy with where we were heading. We were keeping it simple; We were honouring our beliefs. 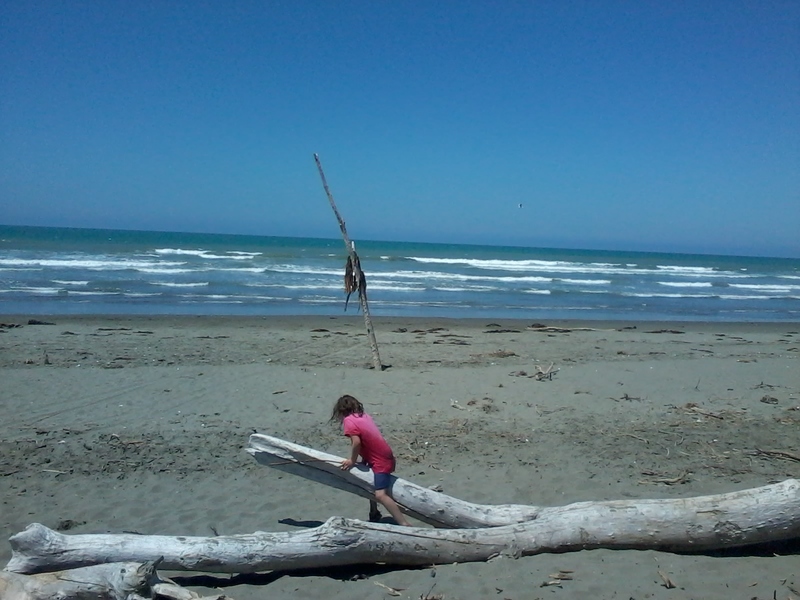 Te Harinui and all that. …Oh, but maybe it would be best if we avoided any “Big Chores” (you know, those jobs that could take half an hour but that in all probability will chew up most of your day, but will fill you with great joy once they are off the list) because of the end of year concerts, barbeques, parties, break ups, rave ups, and all manner of “last-chance-before-Christmases peppering the week. …And, hey didn’t they buy for us last year? We really SHOULD get them something. Then the dreaded M word (rhymes with tall, smells of fast food and panic) was uttered, and the insanity kicked in. 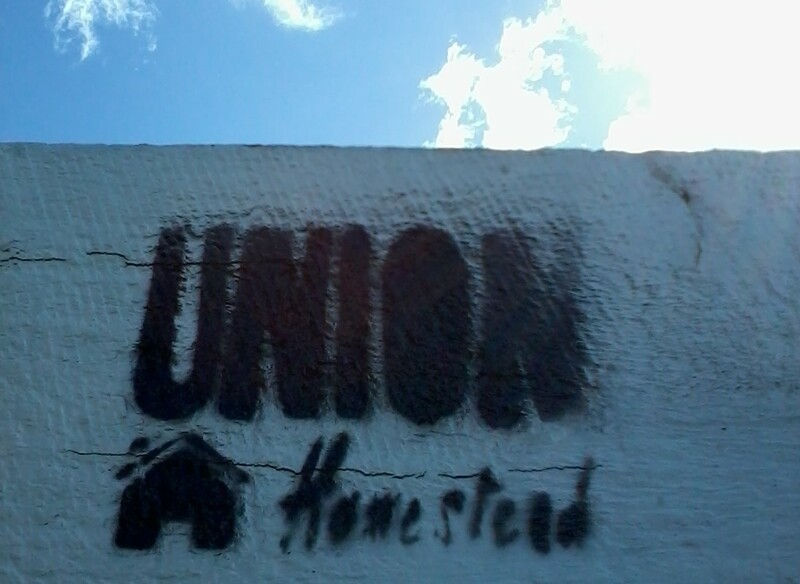 Luckily, because the Homestead is pretty labour intensive, rational thought could assert itself before any serious damage was done to our collective ethos. Quite simply, we didn’t have the time between must-do chores and packed social calendar to panic shop. It was that close. Double luckily, we live in the home of the most laid back, joyous, keepin’ it real Santa Parade ever – and it happened this Saturday. 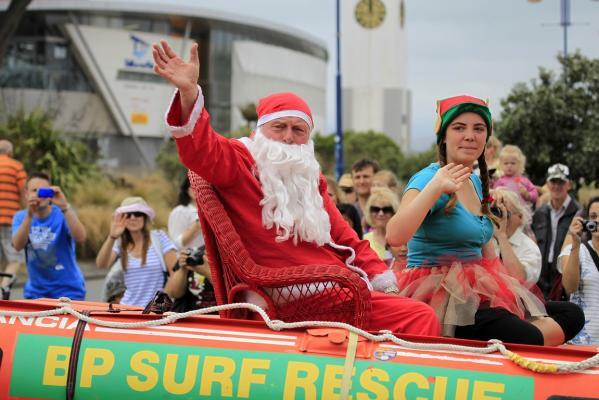 In New Brighton, Santa rides the parade in a surf boat and everyone knows who he really is (Farm Girl understands he has a special contract with the real Santa to act as his understudy in this instance because this is his busy season). There’s nothing like cheering and shouting and waving at a bunch of people parading in a variety of unlikely outfits on a plethora of hand decorated floats to raise the spirits and refocus the mind. At the market afterwards you can even part with a bit of dosh, sure in the knowledge that 90% of the stall holders live locally. Shop locally and spread the love. This was a momentous week for that battle-scarred snail beater, Miss Daisy Kingfisher. 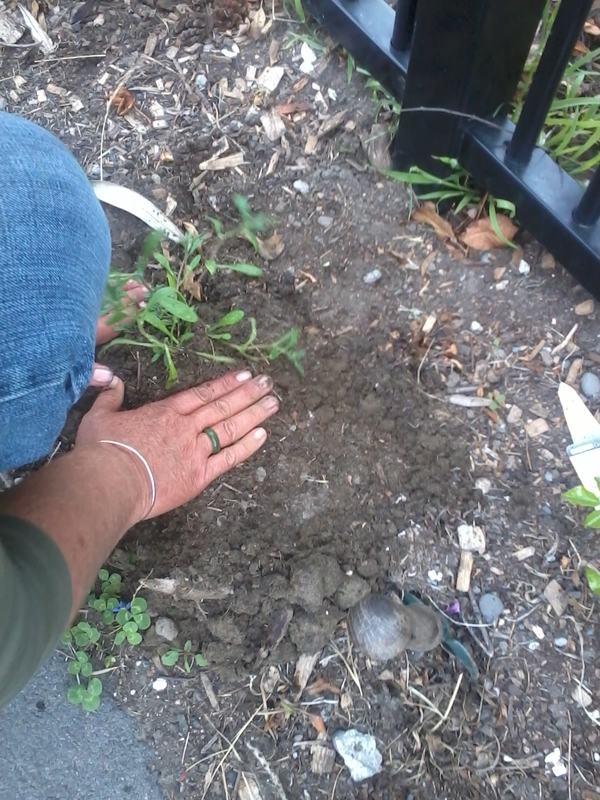 Given up for dead in A Springtime Nocturnal Bad Dream, she endured the worst place in the glasshouse, intermittent watering, and scant attention to do what the second planting didn’t: she grew. This week she took up residence, as initially intended, at the foot of The Homestead front fence. Barring passing dogs and clumsy bus stop patrons we reckon she’s made it. Hopefully by the time she’s flowering, the Homestead windowsills will be painted to match. Another happening which we had little or nothing to do with was the assimilation of the Delia’s (of Meet the Delias fame) with the grown ups. In the way of most tricky decisions, the time to throw open the gates was made for us by the Delias themselves, who decided life looked way more fun on the other side and took to vaulting over the fence. Sure, three days on there are moments of feather flying squawking but it all sorts out without too much collateral damage. The timing of the unification was not totally perfect as the fallout of A Bit of a Fowl Up is chemical gapeworm eradication so the Delias drinking water is now laced as well. 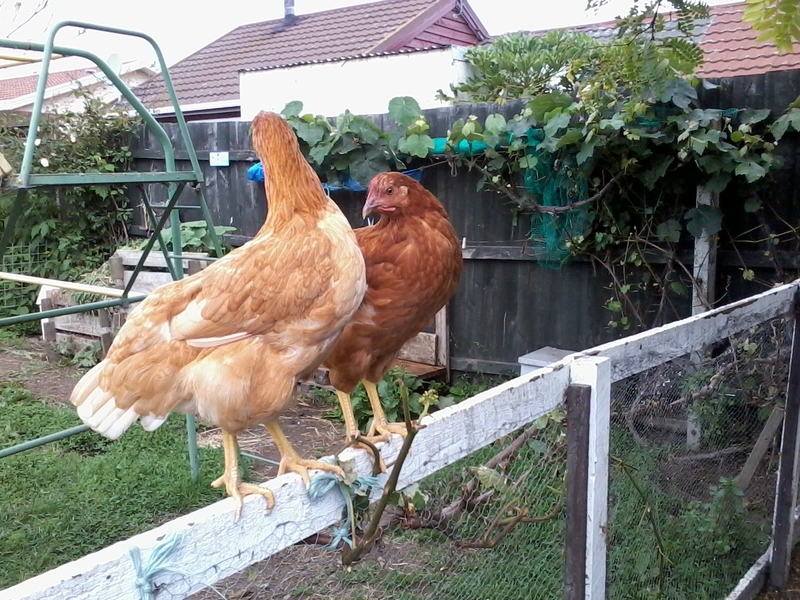 Here at the Homestead that sort of thing is a total last measure, and means for the first time in years we have been forced to purchase eggs (of course free range, organic, with the RSPCA tick) but sometimes needs must. 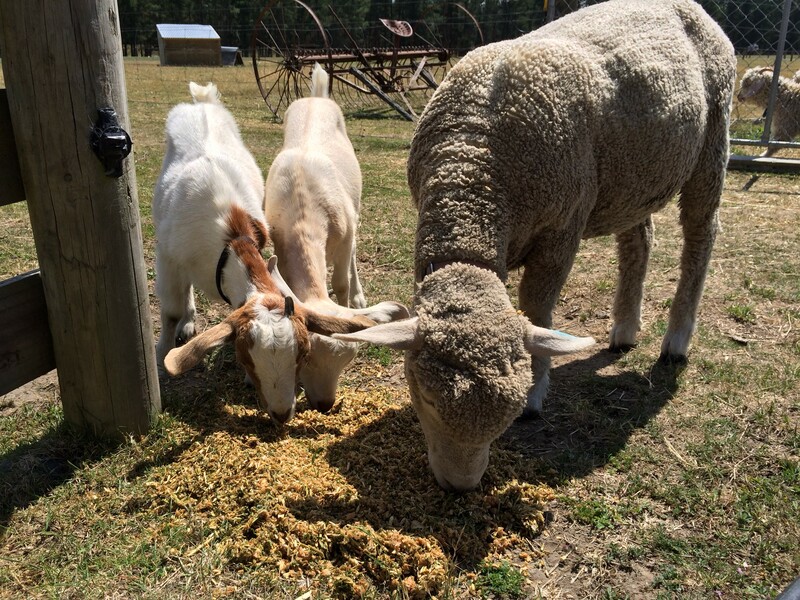 From The Kids Fly the Coop, Miss Heidi and her brother the goat formerly known as Billy Will (Luke Skywalker) are living a wonderful life with our friends at Arion Farm Education Park. Here they are pictured with Sapphire the Sheep for whom The Farmer is Mummy. Speaking of whom, The Farmer’s prowess with animals was verified this week, making us all very proud (and the Homestead a bit more valid) and providing proof that we do know what we’re doing; Well, that one of us does. So that’s everything up to date. In the garden the broad beans dying down but infant scarlet runners have been spotted hiding among the blossoms, the front garden is a profusion of showy squash and courgette flowers, and the sweet corn is beginning to look like it means business. We were even the subject of a photo shoot (after saying it was unlikely last week) but that’s a story for another day. This entry was posted in Family, Union Homestead and tagged Aotearoa, chickens, Christmas, Delia, Family, Goat, Good Life, Holiday, holidays, Homestead, Nelson Mandela, New Brighton, New Zealand, Parade, Pierside Bar and Cafe, reflection, Santa, Santa Claus, Santa Claus parade, shop locally, vegetables, whanau. Bookmark the permalink.